A: I am a design graduate, now making and spreading Bass Heavy vibes around. 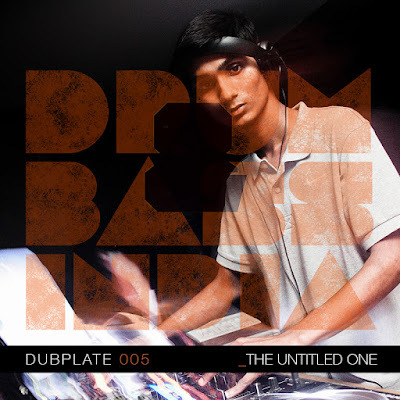 A Dj with special love for Drum and Bass, one of the Co-founders of the community 'Drum & Bass India'. A: (Laughs). There is a funny story behind it. I used to call myself DJ D, like a short form of my name. It was something that I thought of during my school days and there was no such thought process behind the same. But when I started playing Drum and Bass, DJ D didn't go along at all! My manager, Ritu, and I couldn't think of anything for few months, and then we came with The Untitled One, the man with no name! Sounded good and unique to all of us and thus I went ahead with it. A: Back in 2009-10, me and a very dear friend, Prateek Saxena, used to perform together (as Converters) and would often listen/exchange a lot of music. And I heard a few tracks from artists like Cyrus, Breakage, Bungle, Enei, Apex, Nymfo, S.P.Y, Flash, Twitch, Kila Mega Giga Tera and Caspa, just to name a few. And I grew fond of Drum and Bass and since then the love for this music has only grown stronger. A: There's a lot more than can happen with the current Drum and Bass scene, in terms of gigs, and more artists coming down to India and Indian artists entering the International Drum and Bass scene. About the evolution, honestly I am someone who hasn't been in the scene for so long to talk about it, but what I have heard of how it started in 90s and what its now, its going pretty great. Given that main stream festivals like VH1 Supersonic have dedicated stage for this music, I can happily say that its definitely growing and will hopefully make a massive impact that it deserves. It for sure is going to be huge very soon. A: I haven't started producing professionally yet, but when ever I make some grooves, I use my laptop with Logic Pro 9 and my Numark HF125 headphones. To DJ, I use 3 x Pioneer CDJ 2000s with a DJ 900 mixer (HID Connection), connected using a High Speed USB Hub with my Macbook Pro with Traktor Pro 2.6 running on it. I also use a LAN Hub to connect the 3 CDJs and the DJM on a single network just as a backup, if by any chance my HID connection stops (RekordBox link). I use 2 booth monitors at ear level and my Numark HF125 headphones to monitor my mixes. Some Mojito while mixing is always a good idea! A: As I mentioned before that I haven't started producing professionally yet, and as of now I have only made some samples that needs to be worked upon to be converted into tracks. I intend to make sounds around the likes of Neuro Funk, Liquid and Jump Up styles of Drum and Bass. A: 1. Ivy Lab - Sunday Crunk (Mefjus Remix) : I love Mefjus, his unpredictable pattern and the tight sounds, I absolutely love it. I quite like how he completely changed this Ivy Lab track into something else. It's a festival banger now! 2. Drumsound & Bassline Smith - Memories : I love D&BS. This particular track has this uplifting vibe that you cannot overlook. 3. Wilkinson - Half Light ft. Tom Cane : Totally love it. The video, the Lyrics, the Voice, everything about this track makes me happy. It works as a perfect mood brightener for me. A: Best Gig, Um, playing before Mosillator back in August 2014 at Bonobo for this tour managed by DnBIndia. The sound system - good. The vibe - great. The crowd - Knowledgeable and amazing. A perfect gig it was. A: A lot of "funny and crazy" things happen to me as I play DnB. Haha. So there was this gig long back at Blimey, I started my set with some Liquid DnB, and I remember a guy coming up to me and asking me if I could play some 'fast' music, the place being a club and not a lounge, according to him. I nodded my head with a smile and went ahead with my set. But it didn't stop there, somewhere close to the end of the gig, while I was playing some Neuro sounds, he came up to me again and asked me to play some "EDM". I had nothing to say to him, and I and my friend next to me who heard him too burst into laughter. Also seeing people doing "The Bhangra Step" on Drum and Bass, something that happens quite often, is quite interesting.